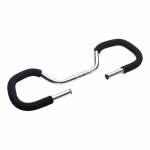 The butterfly shape of handlebar is very popular amongst Dutch and German cycle tourists. It offers a range of hand positions, but all with relatively high hand positions allowing you to stay relatively upright - unlike dropped handlebars. Silver anodized aluminium. 570 mm wide. 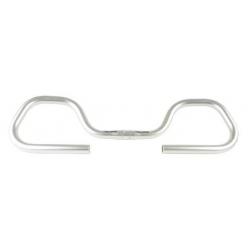 The clamp area is 25.4 mm (one inch) in diameter. 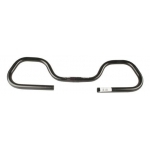 This is the most common clamp diameter for handlebars, but not some stems are designed for a different diameter. 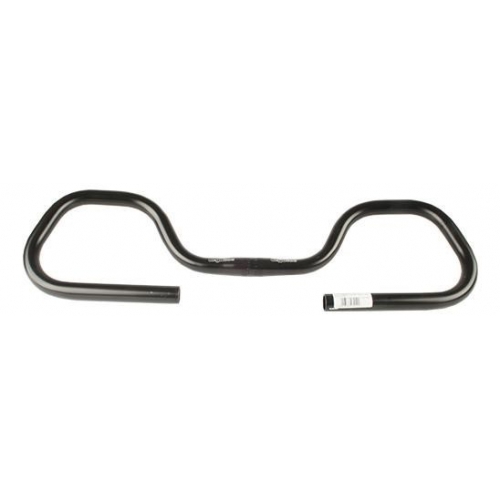 The stems that we sell all have the same clamp diameter and are compatible with these handlebars.